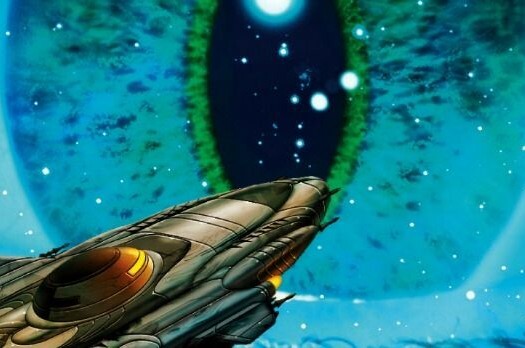 Be prepared to be wowed, again, by director Ridley Scott's 1982 sci-fi classic. There’s always a moment when you spot a film classic’s age spots. It could be a dated reference, a character who would never be written that way now or a special effect that could use a tune up. The latter is particularly true of ‘80s science fiction films. Yes, the “Star Wars” saga set the bar sky high for visual effects, but they’re all not perfect. 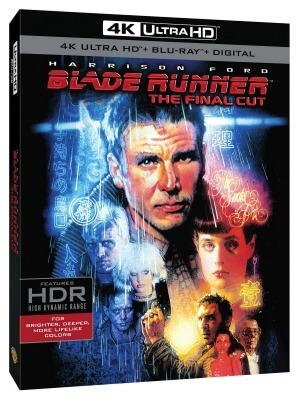 It’s why revisiting “Blade Runner: The Final Cut (4k UHD BD) [Blu-ray] ” is such a revelation. ‘Blade Runner: The Final Cut’ features four versions of the 1982 sci-fi classic. Director Ridley Scott’s 1982 film retains some flaws all these years later. The story drags, hurt by film tropes we had enough of 30-plus years ago. Harrison Ford’s performance is laconic even by his dry standards. But those visuals! The set design! It’s still a marvel, as if Scott had tapped a time machine and brought back the very best of what the future might offer. The bleak, bleary future Scott and co. imagined looks as fresh and real as it did during the Reagan era. The flying cars dazzle. The scummy streets reek of human desperation. It’s as immersive a world as anyone could imagine … from any decade. The upcoming sequel, “Blade Runner 2049,” will be hard-pressed to match its splendor despite the technological chasm between the two. Should we hold the film accountable for wildly missing what the 2010s would truly look like? Sounds like nitpicking. We still hold “Back to the Future Part II” close to our hearts, and that film saw a future where fax technology still mattered. Set in 2019, “Blade Runner’s” opening text describes a world where artificial humans were built for slave labor but soon outlived their usefulness. Ford plays Deckard, a “blade runner” tasked with killing these obsolete, but still dangerous, Replicants. One particular group poses serious risk. Led by Roy (Rutger Hauer), they’re tracking the corporate-based inventor who created them in the first place. Why? Replicants only live a set number of years. Roy hungers for a more satisfying, and substantial, life span. Can you blame him? You can’t have a neo-noir tale without a dame. Sean Young co-stars as Rachael, a beguiling Replicant who casts a spell on our hero. Rachael thinks she’s human, and Deckard can’t quite bring himself to disagree. It’s hard not to wish Young and Ford had one more scene together to cement their chemistry. It’s good, but hardly great. Early critics pounced on “Blade Runner” for its pacing issues. That beef hasn’t faded with time. The early sequences dazzle but quickly flatline. Watching Deckard bicker over “one last job” just isn’t as compelling as Scott would have us believe. Ford’s performance, both effective and mannered, hardly helps. It’s the Replicants who revive the film. They’re clever and brutal, particularly Leon (Brion James) who batters Deckard mid-movie. From there it’s Hauer’s show. He isn’t just magnetically attractive against this dystopian canvas. His ache to prolong his life is utterly … human. That complexity, that depth, makes “Blade Runner” more than a visual feast. FAST FACT: “Blade Runner” fizzled at the box office during its 1982 run, earning just $32 million. We’ve always been transfixed by the Pinocchio factor. Is Geppetto’s creation a real boy, or just a marvelous toy? Was Data the robotic sidekick on “Star Trek: The Next Generation” or the most human member of the crew? Hauer’s Roy checks similar boxes. The final faceoff between Roy and Deckard is unlike any in sci-fi history. It’s not a slug fest but a cat and mouse game where our loyalties shift as if built atop sand. Roy is a cold-blooded killer, but there’s a pain in his performance that’s undeniable. Just what did the Tyrell Corporation create with these Replicants? Hollywood never fully tapped into what Hauer showcased here. The new Blu-ray release, dubbed “The Final Cut,” does away with Ford’s narration from the theatrical release. Ford hated that unnecessary element. Apparently, so did Scott. It’s the director’s final take on a movie that has endured multiple editions. They’re all included here for your perusal, plus seven hours of bonus footage. It’s hardly perfect. It’s also a rare chance to see a film classic you know will retain its excellence well into the future. Editor’s Note: The edition reviewed here was the Blu-ray version, not the 4K presentation.